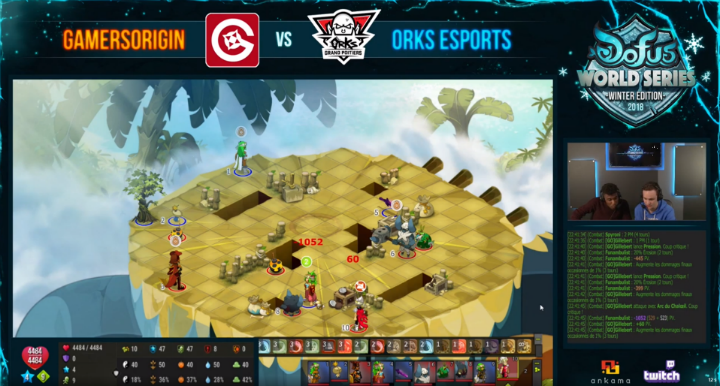 The Dofus players managed to score their first win right after the inaugural match lost against Millenium. They are now at 1 – 1, just as Millenium, in this Winter Edition of the DWS, thanks to a victory against Orks Esport. After a 6-days break, they came back to compete against Free Bowisse for the third match of the season. Despite a huge burst of Free Bowisse on Ghettonateur, the team actually took the win thanks to Mounir’s toad. 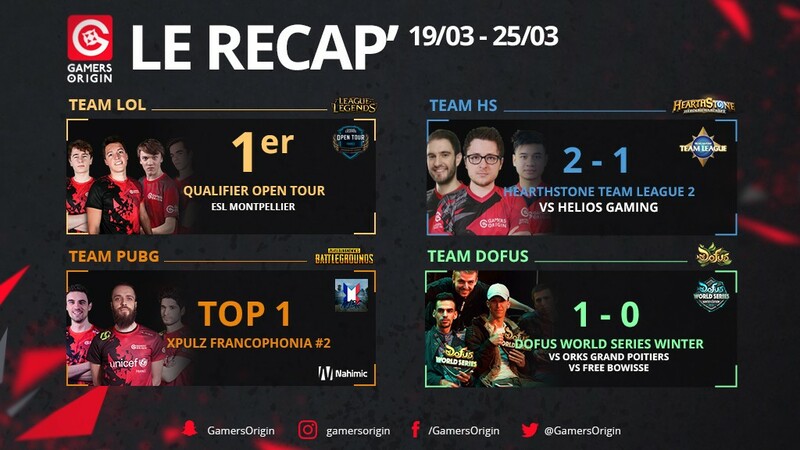 The second edition of the Hearthstone Team League started earlier this week with a GamersOrigin vs Helios Gaming match. Helios line-up was essentially made of former Cwol players, and the first game played with Den as a coach ended with a victory for GamersOrigin. Our team is moving forward in the winner bracket, waiting its next match. The recruits of our PUBG team continue to show their strengths and we took a top 1 in the X-Pulz Francophonia second edition. 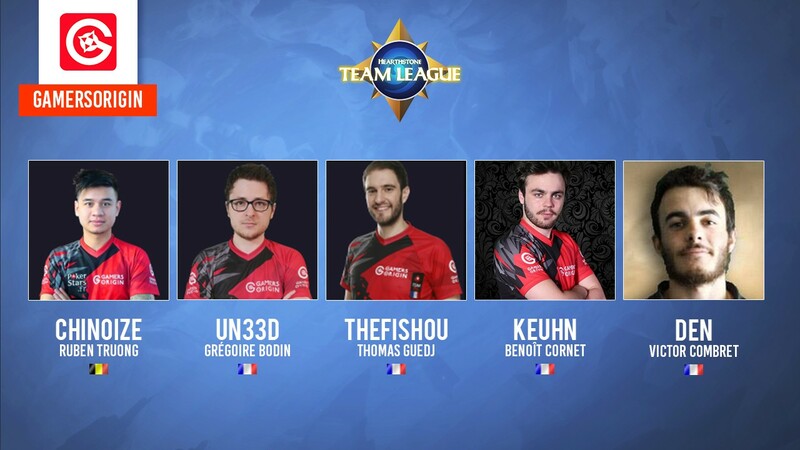 They are currently in bootcamp in Paris and train hard to reach quickly a high level of performance. Following its excellent results 14 days ago in the Gamers Assembly Open qualifier, the LoL team compete in the qualifier for ESL Montpellier. GO qualified easily for the semifinals after a victory against Made if France. Unfortunatly Vitality Academy couldn’t play its semi against us due to internet connection issues, so GO moved to the grand finals against LDLC. It was a very tense match with multiple kills and very agressive junglers on both sides. It is a second victory in a row for us in this LoL Open Tour qualifier. Tonerre was very strong with his Swain. Next week will be dedicated to Gamers Assembly. Our Hearthstone, LoL, PUBG, TrackMania and Starcraft II teams will play with high expectations #GOWIN. It will be our first event with our new partner Scoup Esport, which is providing us all the gear we need to perform in LAN, for Gamers Assembly and future competitions.